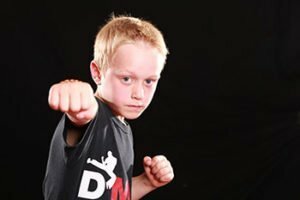 Deacons Martial Arts are one of the biggest and best Martial Arts Clubs in Leicester, with over 250 students in our full time, state of the art, martial arts centre we have something for everyone. Age specific classes, open 6 days a week, plus loads of social events and tournaments throughout the year. We are looking into new premises that will offer even more. Self contained, we would look to seek ousted registration for our half term clubs and eventually branch into daycare for 2-3 year olds to offer great teaching and physical activities to offer all round development. Not just sitting kids in front of TV’s and colouring books! We could offer more classes and a much larger training area, we are also looking into offering apprenticeships in sports and leisure management through the facility, yoga classes, parent and toddler classes and much more. With the upstairs offices we can run our nutrition and weight management coaching services and clubs to the community too. This would place us in a great position no other club can offer, with community opportunities that far outweigh any facility we know of. From child development right through to athlete development and career opportunities. So if your looking for a Martial Arts Club in Leicester look us up as we offer so much more than just Martial Arts Classes to the city of Leicester. Our current programmes include Little Ninjas, Kids Kickboxing, Adults Kickboxing, Fitness Classes and Personal Training.